A SAE140 gear oil suitable for use in bevel, worm and pre-1960 hypoid gears. 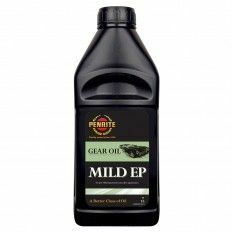 Rated GL4 this gear oil does not possess the additive package found in later GL5 gear oils. Use in steel gear sets in vintage and veteran cars and trucks, rack and pinion steering systems of 1950's and 1960's era vehicles, pre 1960 hypoid axles, spiral bevel and worm axles and for extra protection in gearboxes that use SAE90 oils.